Bring the functionalities that consumers are expecting from businesses. 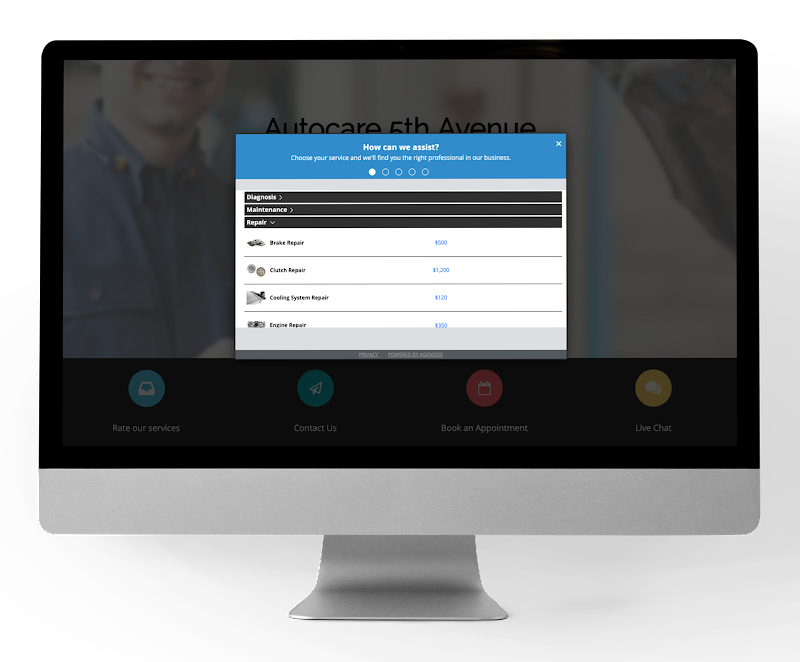 Online Appointment Booking enables your business clients to empower their customers to schedule an appointment online with real-time availabilities and automated reminders. 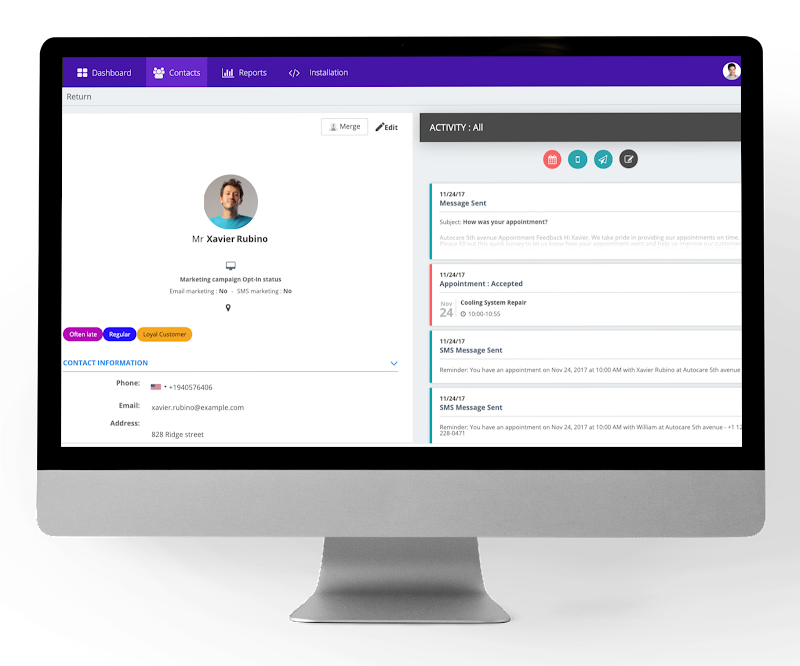 Businesses receive up to 40% more bookings outside of regular operating hours and reduce the number of no-shows while saving time on administrative tasks. Try a demo! 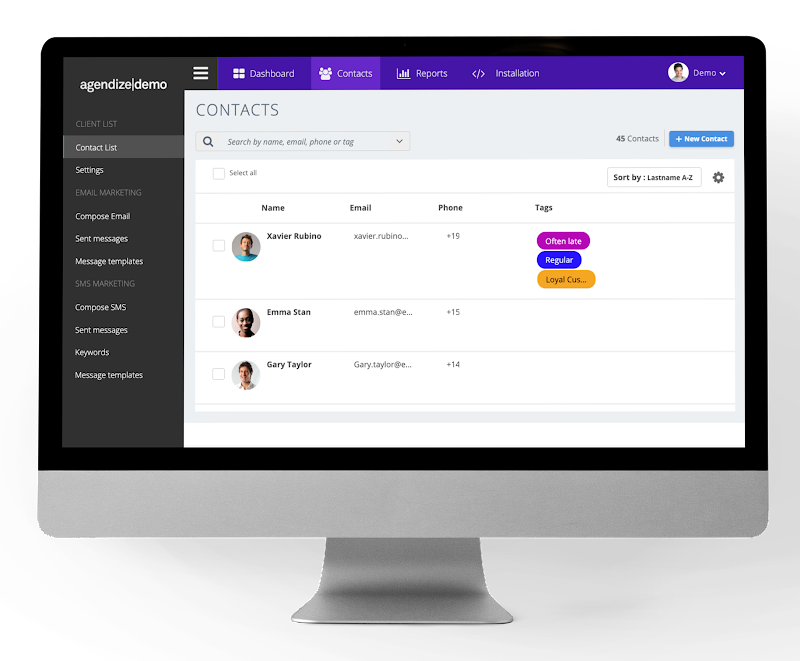 Offer your business clients a way to save 75% of the time previously spent managing appointments by eliminating the need to manually compare schedules, send out email reminders, and keep track of their existing appointments. Reduce the no-show rates by up to 80% with automated reminders. Empower your business clients to focus on what matters most, running their business, instead of tasking to manual follow-up. 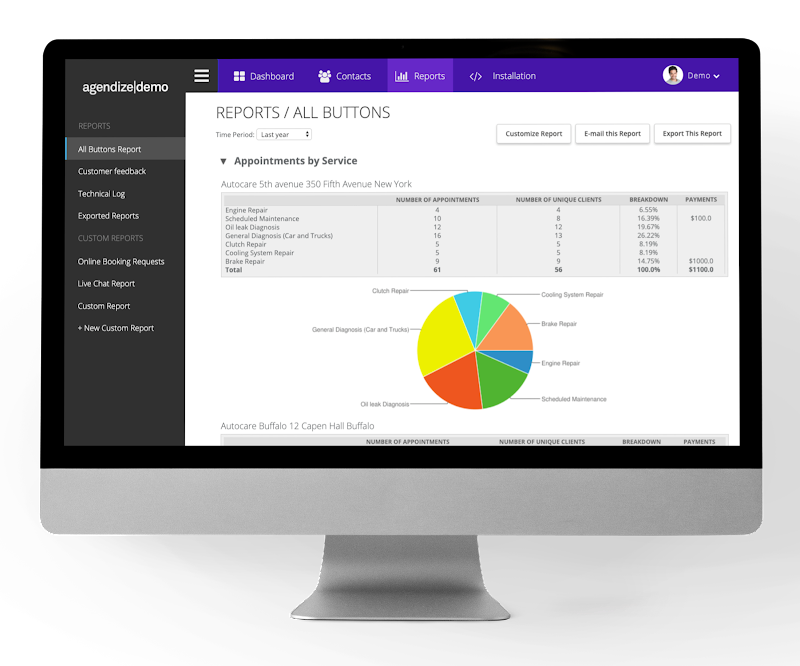 Every appointment generated through the Agendize booking widget is automatically stored in the relevant customer's profile within the Agenize platform, providing critical insight into interaction history, and how the business communicates with its customers. 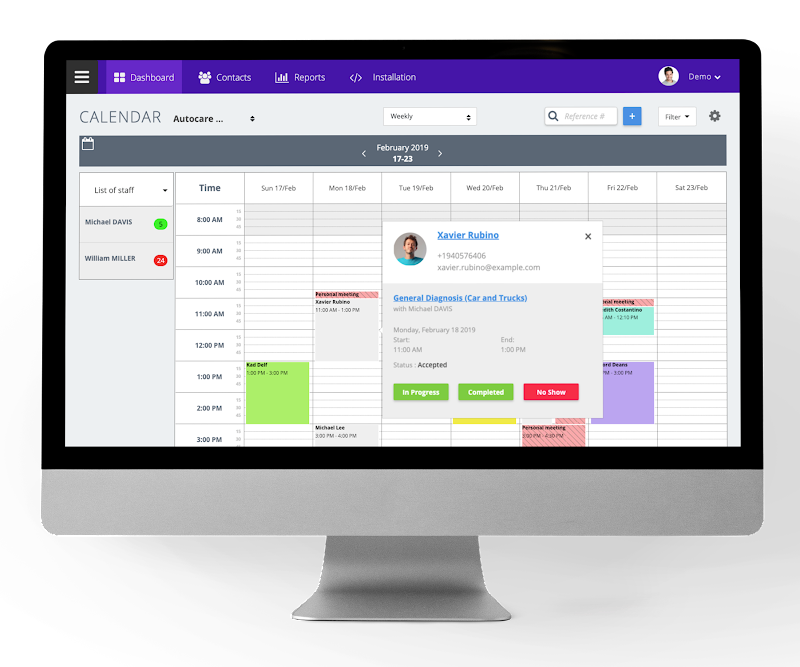 Bidirectional calendar synchronization will allow your business client to offer real-time availability into their schedule, so booked appointments come without any confusion and double-bookings.